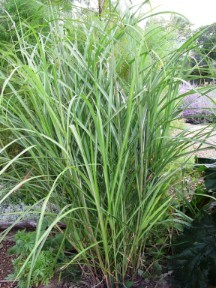 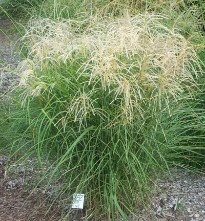 Miscanthus sinensis is also known as maiden grass, eulalia, and Japanese silver grass. 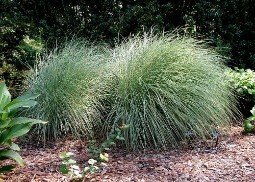 Japan is the origin of most cultivated species, where it is called suzuki, and is used for their thatched roofs. 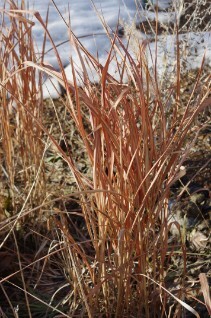 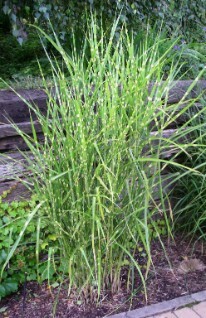 It is a warm season, clump forming grass. 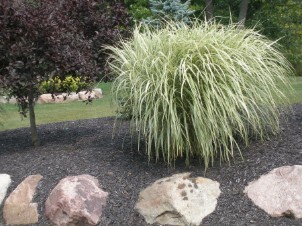 There is a huge range of varieties, with many leaf colours and shapes, with different flower colours and heights, and season of blooming, as well as plant shapes. 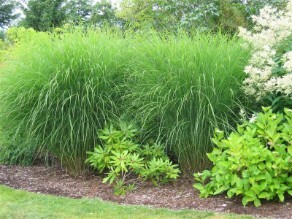 They should be cut back in late spring, to about 4-6" above the ground.